Considering just how dependent we are on the Internet, it is not a surprise that browser developers are in a perpetual race to deliver the “best” browser to consumers. With mobile phones being used by more and more people to get on the Internet, mobile Internet browsers, naturally, are in demand. While going online via your phone is quite convenient, sometimes, the features of mobile browsers are simply incomparable to the experience offered by browsers for computers. Here’s a bit of good news for those of you who are yearning for a better browsing experience on their Android phones – Mozilla has just released the alpha version of mobile browser. Dubbed Fennec Alpha, the mobile browser can be used on Nokia N9000 mobile phones as well. The exciting thing about Fennec is that it is based on the same technology that is used for the Firefox we all know and love. By the way, this mobile browser is not the first version. In April, Fennec prealpha was released. Early reviewers had a lot to say about that version – many of them negative. The Fennec Alpha, however, is set to offer enhanced performance and is supposed to be more responsive to user needs. 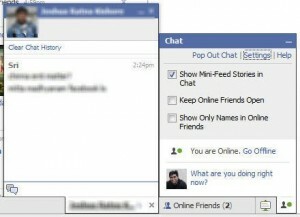 More specifically, the newer version includes Firefox Sync capabilities, making browsing more convenient for users. Android users will also be happy to know that the Fennec Alpha supports browser add-ons – one of the main reasons that Firefox is such a joy to use. You may download the mobile browser from Mozilla’s web site, but if I were you, do not expect too much. The software is intended for testing purposes and not for regular use. Happy 15th Birthday, Internet Explorer! You probably haven’t used Internet Explorer in ages – I hardly know anyone who does anymore – but it is still worth noting that this week marks the 15th anniversary of this web browser. If you’ve been going on the Internet for a decade or so, you probably have had your own experiences with Internet Explorer. After all, in the old days, we didn’t have much of a choice. All that changed with the entry of other, more efficient browsers. Still, it’s nice to take a look back and see what the browser has gone through. The first version was released in 1995, August 16. Soon after, in April of 1996, the second version was born. 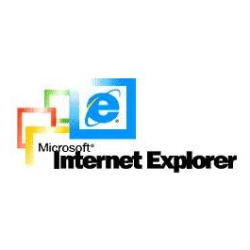 Less than a year – in August of 1996 – IE 3 was released. This was a huge improvement over the first two versions in that it was more integrated with other applications and developers were able to use Cascading Style Style. The numbers (IE#) went up with each version and now, in 2010, we are looking at Internet Explorer 9. It is slated to be released on the 15th of September. Supposed to be on the cutting edge of technology, IE 9 is proof of this browser’s tenacity. Despite having a lot of competition in the recent years, it seems that it still has a solid foothold. Never mind that I haven’t used this browser since forever – Happy Birthday anyway, IE! Everyone knows that Apple’s computers outperform Windows-based computer practically in all levels. However, don’t just sit back and think that, since you’re using a Mac, you shouldn’t be concerned about security issues. Recently, a flaw in Apple’s web browser Safari was discovered by a security researcher. The flaw involves Safari’s auto-fill feature. 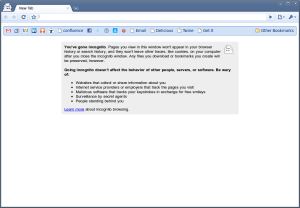 Because of a bug, malicious web sites can harvest information that the user inputs on the browser. This information can be anything from name, e-mail, phone numbers, address, and more. Jeremiah Grossman is the guy who discovered the flaw. He is the chief technology officer of WhiteHat Security, a computer security company. He says that he had contacted Apple prior to publishing his findings in his blog. This was back in June. However, he merely got an auto-reply from the company, and no follow up communication ensued. If you’re thinking that this might just be part of a smear campaign against Apple, think again. The technology giant has acknowledged that the flaw does exist. They gave a statement saying that they are taking the issue seriously and are working towards fixing it at the soonest possible time. Other than that, however, they did not give any information. What should you do in the meantime? I suggest switching to another web browser till Apple gets things together. Alternatively, if you feel disloyal doing that (I don’t see why, though), disable the auto-fill feature of your Safari. Seth Weintraub provides more information on this.